June 2015 — It’s early June at Chaumont-sur-Loire’s annual garden festival, and one of the 26 gardens created around this year’s theme, ‘A Collector’s Garden’, is already getting more attention than others. 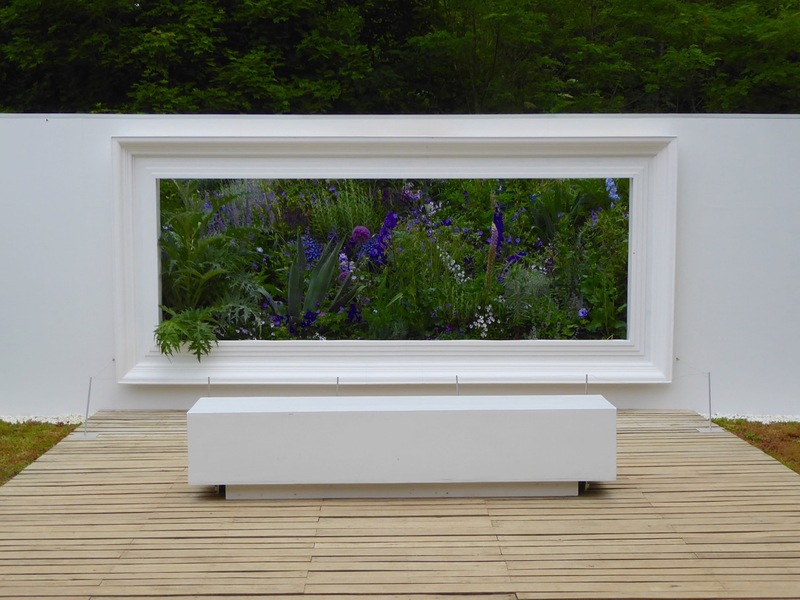 From afar, Nuances, a garden created by two Belgian landscape-architects, looks like a large hyper-realist photograph in a modern museum: bright flowers and lush green leaves set in a pure white frame on a pure white wall. A few cardoon leaves flow out towards the viewer, like an 18thcentury Dutch painting within a painting. The blues of the lupins, campanulas and delphiniums are so intense they look like an over-saturated print. That day, everybody wants their picture taken in front of this live still-life. A few weeks later, as the holiday season begins, Nuances has become the face of Chaumont in all the magazines and TV programmes covering the festival.